Comment (enter your email*) below by telling us the most romantic city in the world (according to you!). Comments close at 10pm, Feb 11th and winner will be randomly selected the following day, Feb 12th. Winner will be contacted via email left with comment. 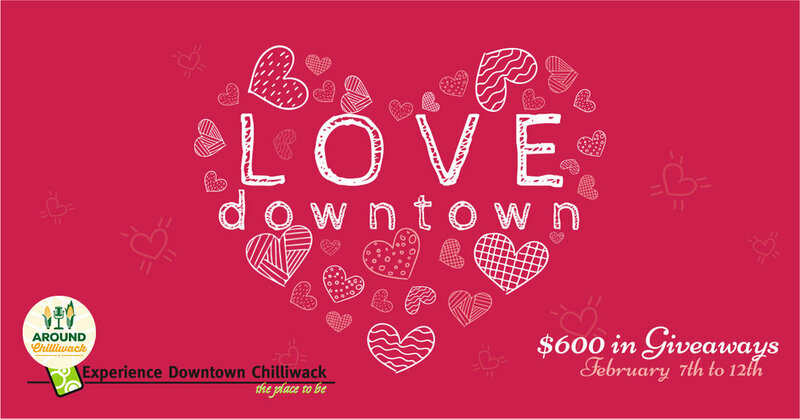 Be sure to “Like” our participating businesses; Around Chilliwack, Downtown Chilliwack BIA, Mission Thrift Store, Michael’s on Main, Decades Coffee Club, and Mill Street Barber Shop.